Very popular widely used for late additions and dry hopping. A new, high alpha bittering variety made popular during the hop shortage. Mostly commonly used in West Coast style IPAs for an herbal, and floral flavor. Excellent bittering hop that provides pleasant fruity and floral aroma characteristics. Typical brewing uses: American Style Pale Ales, India Pale Ales, Imperial Reds or anything needing some kick to it. 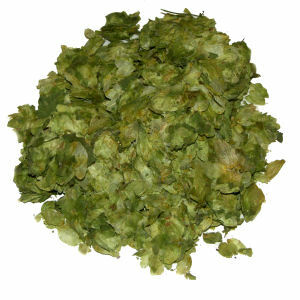 Very popular American bittering hop that is also widely used for late additions and dry hopping. Sometimes billed as a supercharged Cascade, it has a pleasant spicy citrus aroma and clean bitterness. Classic bittering hop for Sometimes used as a late addition for its intense, spicy and resiny aroma. Typical Brewing Use: American pale ales, stouts, and porters. CO2 extract is an extract of hops produced by extraction of hop pellets using food grade carbon dioxide under liquid or super critical conditions. 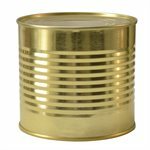 CO2 extract contains alpha acids, beta acids and essential oils and is normally used as a partial or complete replacement for kettle hops or hop pellets. CO2 extract is an extremely stable, convenient and concentrated alternative to the use of hops or hop pellets. Dual purpose hop with intense earthy and faint citrus character. Use in American ales. Aroma: Citrus, Herbal, Woody, and Spicy. A diploid aroma-type hop, originated from a cross between Fuggle and a male derived from Cascade. Possibly the most popular hop on earth. Dual use Experimental variety from Hop Steiner. Bred from Fuggles and Cascade. Aroma: Bright Citrus reminiscent of fresh cut lemons. EXP 4190: Experimental variety from Hop Steiner. Bred from Fuggles and Cascade. Aroma: Pleasant, mild citrus aroma. Excellent high alpha variety with balanced bittering and aroma characteristics; mainly used for bittering, but finding favor as a dual purpose variety. Typical Brewing Use: Can be used in lager typerecipe. Aroma: mild, slightly fruity and spicy, flowery and haylike. HopShot is CO2-extracted hop resin that can be used for bittering or late additions to boiling wort — treat it just like leaf or pellet hops added during the boil. 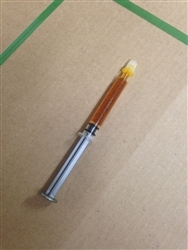 The HopShot syringe contains 5 milliliters of extract. One milliliter of HopShot yields approximately 10 IBUs in 5 gallons of 1.050 wort when boiled for 60 minutes. Test batches indicate that this bitterness may be slightly less aggressive on the palate than your average hop addition. High-alpha hop with clean, neutral bitterness. Typical Brewing Use: Bittering hops Can be used in almost any recipe. An excellent variety for single hop bills with multiple applications. Typical alpha: 6.5 - 8.5%. A definitive characteristic in Czech style Pilsners. One of the four true Noble hops. Typical Brewing Use: hops in almost Ale, Pilsner, Weizen, Lambic, Alt, Kolsch, Munich Helles. American grown all purpose hop derived from Fuggle.